What Books or Movies Inspired You to Travel? Always on the lookout for my weekly topics, I was drawn in by another blogger’s title question above. I read her article which mentioned books like Eat Pray Love and Around the World in Eighty Days and tried to think what my own answer would be. Days later, I have come up with only two answers to that question, and they actually answer a different question. I could have answered other questions, such as “What book or movie has aroused fascination about another place?” The problem is that though the destinations fascinated me, the portrayal was vivid enough that I definitely did not want to go there. This is the country home which Zhivago and his family retreat to. Bring blankets! saw it on the big screen. Omar Sharif and Julie Christie were both amazingly handsome, but it was the landscape and endless expanses of snow that made the biggest impression (even on Labor Day weekend). 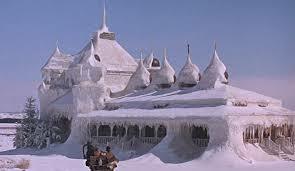 Zhivago gets up at night to write with fingerless gloves at a desk surrounded by frost-covered windows? How can his bottle of ink not be frozen? Add in the crushing realities for the gentry of accommodation to the Revolution and you have one fascinating but not particularly attractive alternate world. Another movie which opened my eyes to a world of possibilities was The Inn of the Sixth Happiness (1958, watch it on YouTube). Based on a true story, this tells of an Englishwoman who incorporates herself happily into life in a Chinese village, only to be thrust into the role of evacuation leader for the village children during the war between China and Japan. As with Zhivago, I found the story captivating but hardly inviting. My list could go on. A Town Like Alice (TV mini-series, 1981) about prisoners of war in Malaysia and beyond. Maybe it was Bryan Brown that captivated me, but I did not want to be there and do that! And Lawrence of Arabia (1962), ditto. I hope each of you has some inspiring answer to the title question! My list is getting depressing. There are two books I have read recently, after a travel decision was made, and I am happy for both stories. In November we are going on a Rhine river cruise. My husband has not spent any amount of time in Paris so we are going there for a few days before the cruise. The first Paris story I picked up to prepare myself was The Bishop and the Beggar Girl of St. Germain by Andrew M. Greeley. This is a light mystery featuring a Chicago-based bishop, and I more or less solved it as soon as the disappearance was outlined. (Watch enough “Masterpiece Mystery” and you can do that.) It was enjoyable, familiarized me with a few place names, and made me curious to visit the Left Bank again. 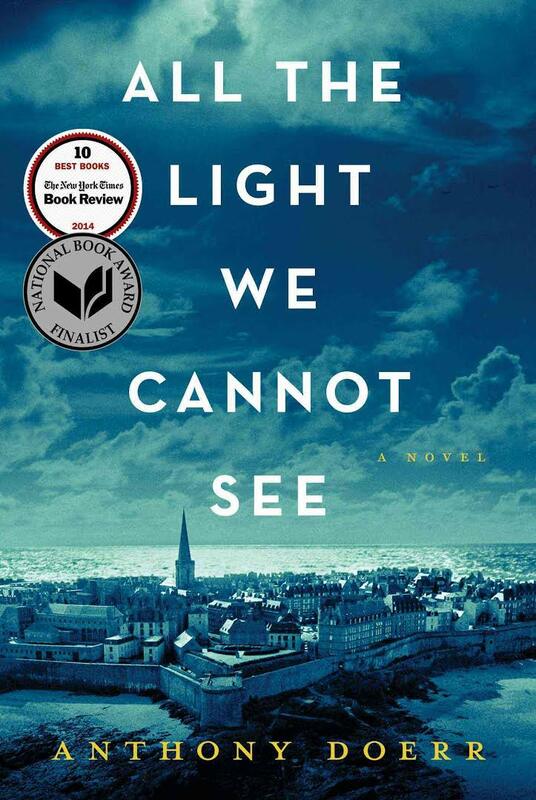 Next, I got a copy of All the Light We Cannot See by Anthony Doerr (which takes place in Paris partially). Before long I was engrossed in the world of blind Marie-Laure and her father, just getting along in spite of difficulties as the clouds of WW II drew ever closer. The other half of the book (in alternate sections) is set in Germany, so that drew me in, as well, to consider whether we might be near any of Werner’s travels. It is one of the best books I have read in many years, and it certainly brought its locales to life in vivid detail. Then the other day as I was checking locations for our Paris hotel I stumbled across the National Museum of Natural History where Papa worked, and the Jardin des Plantes which Marie-Laure walked through on her way home. It was like the map lit up for me! I had assumed the book had enough basis in history to have used real places – or thinly disguised versions of them, but now I have to see these sites when we are in Paris. St. Malo (where the book ends) is out of the question for this trip, but who knows where our next trip might take us? Please tell me the stories which have inspired or enlivened your travels. I need to expand my list! This entry was posted in Travel, Uncategorized and tagged A Town Like Alice, All the Light We Cannot See, Bishop and the Beggar Girl of St. Garmain, books, Doctor Zhivago, Inn of the Sixth Happiness, Lawrence of Arabia, movies, travel. Bookmark the permalink.